Hello, we are Church Lane's Safety Squad. 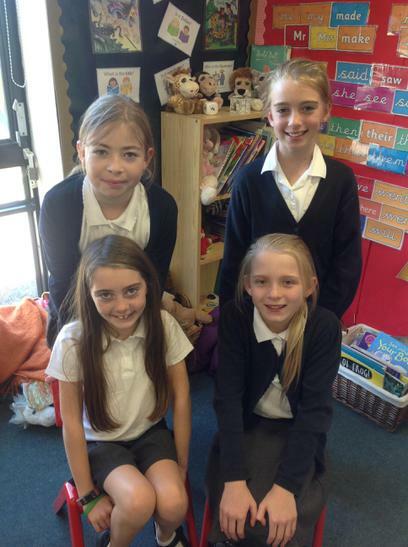 We are a dedicated group of year 5's and 6's who care about you and the school. So far we have set competitions, have done assemblies and have made posters to put around the school. We are looking at having our own lanyards so that we are easily recognisable when you want to speak to us. We are also looking to raise money for a new bench 'The Safety Seat', where you can come and talk to us if you are worried or have nobody to play with. 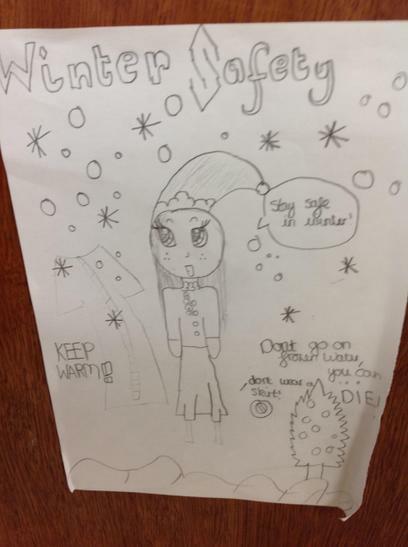 Some of the juniors may have spotted our Winter tips around the junior building. Our challenge for you is to find and read them all and note down the symbols we have put on each. The first children to write all 10 symbols and bring them to a member of Safety Squad (with their name and class on) will receive a prize. You have until the end of February. England can be cold in winter! 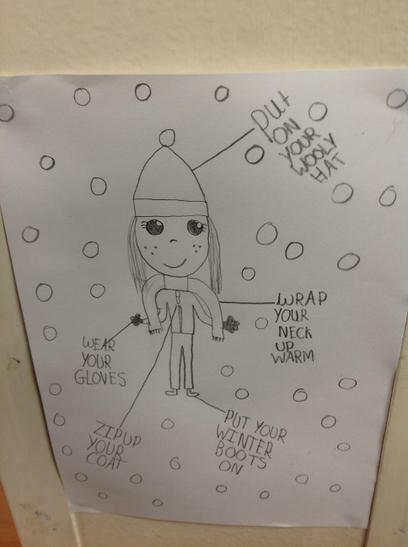 Wrap up warm when it is cold, especially your head. If you are playing in the snow, you might not realise how cold your body is getting. Don't go onto frozen water. It is never as thick as you think! It might break and you will fall into freezing water. 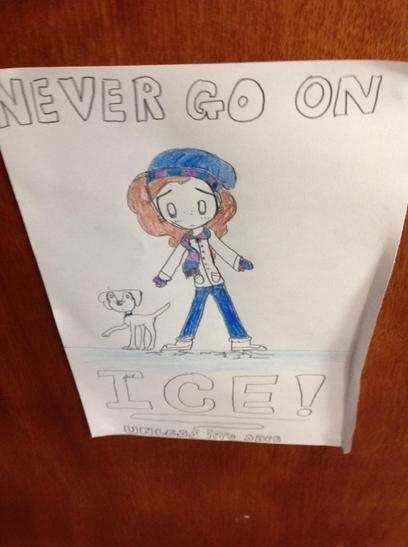 Don't let your pets go onto the ice, keep them close and never follow them onto ice! You will put your pet in danger and yourself! If you see someone fall into ice, don't go after them. Shout for help and Ring 999. If you realise that you have gone onto ice. Don't panic and carefully get off as soon as you can and call for help. Think about pets that live outside, bring them in or give them warm bedding or a hot water bottle. Perhaps give your pet a coat. Check that your pet's water isn't frozen. Be careful in the dark evenings especially near roads! Have lights on your bike and wear bright clothes. Ice is not easy to see and leaves can be slippery. Be careful where you are stepping. Wear shoes with grip. 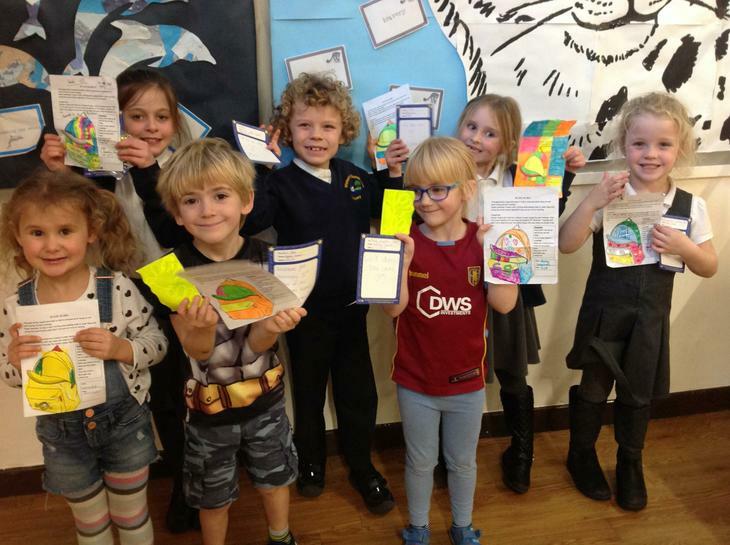 We enjoyed setting our 'Be Safe Be Seen' competition. Please remember to be extra careful near roads in the dark mornings and evenings! Well done to you all! We hope you enjoy your reflective prizes! Safety Squad are excited to start the new year. 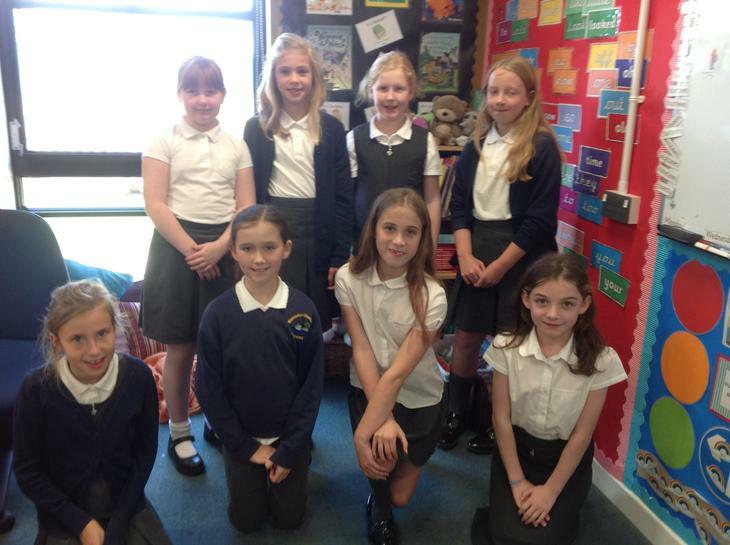 We are looking for new Year 5 and 6 members to meet with us every Tuesday lunchtime in Miss Potts's classroom. A big thank you to our new members for joining us. Stay far away from bonfires and fireworks. Fireworks are not toys! Do not play with them! Don't go near fireworks that haven't gone off. Let adults get rid of used fireworks properly. Always have a bucket of water near by. Listen to adults' instructions and don't go past barriers. Remember to look after your pets. Keep them indoors and happy. Consider putting a radio on to distract them from the noise. Wear sensible clothing when holding sparklers, including a pair of gloves. Get rid of used sparklers in water or sand and don't pick them back up. Hold sparklers at arms' length and never in somebody else's direction. Tie long hair back when using sparklers. If using glow sticks, don't chew them. Check for small animals, such as hedgehogs, that may be hiding in your bonfire wood before you light it. Ensure your bonfire is in a large, open space. Have fun but keep safe!